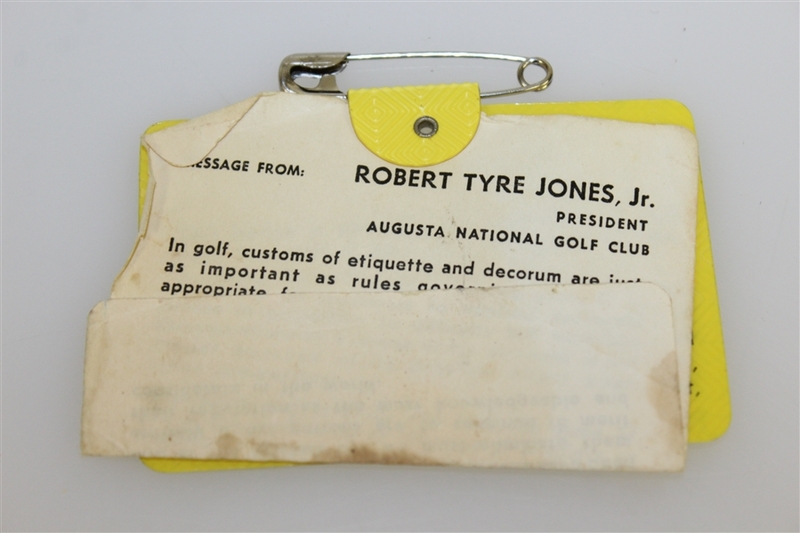 Offered here for bidders is 1969 Masters Tournament series badge LOW #491. It comes in great condition with the original pin intact, the paper attachment on the back showing a few small stains. 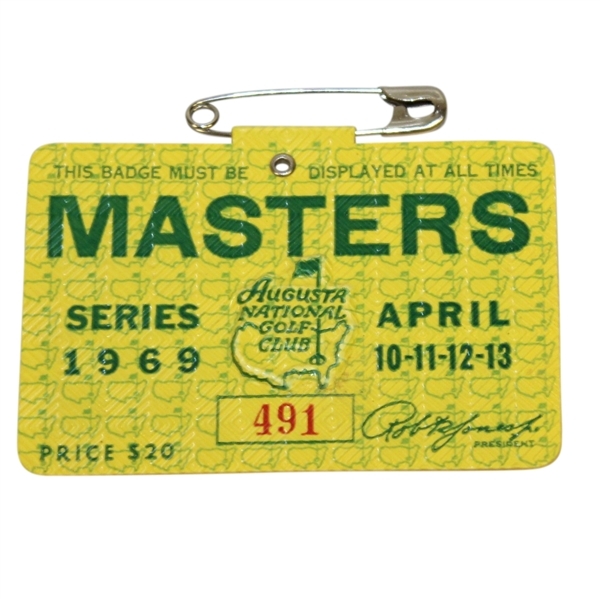 George Archer shot the final round at even par to defeat Billy Casper, George Knudson and Tom Weiskopf by one stroke to win the 1969 Masters.